The ISE® Community includes the top thought-leaders, decision-makers and visionaries from industries ranging from financial services and retail, to healthcare and pharma, to manufacturing and government, to energy and utilities, to hospitality and travel, and more. 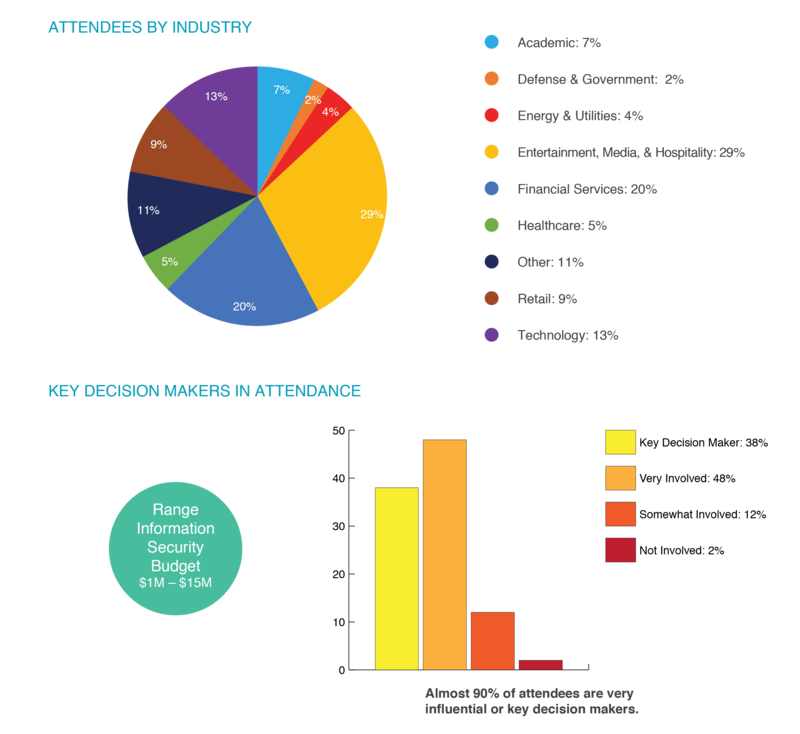 An impressive 80% of our attendees are key decision makers or are highly involved in the decision-making process in their organizations; and over two-thirds are at Director level or higher. 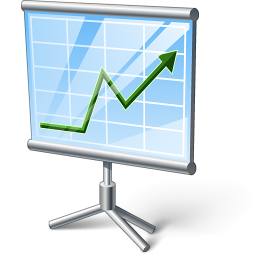 A significant majority of attendees have company revenues over $1B and their information security budget can range anywhere from $1M to $15M. Sponsorship of the ISE® Programs offers unparalleled access to a spectrum of today's most influential and leading buyers of IT Security Products and Services. 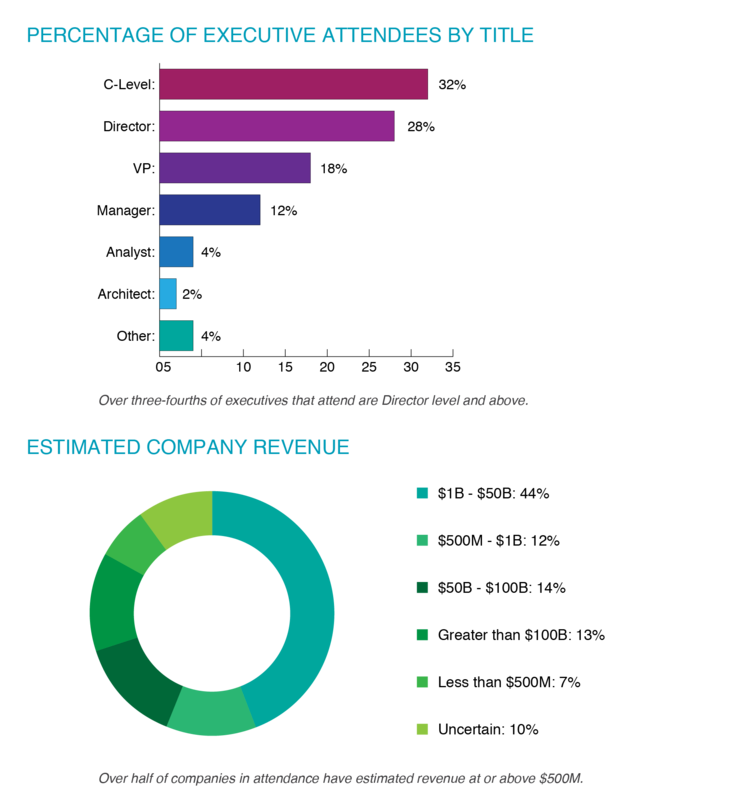 Data gathered from T.E.N.’s 2018 ISE® Program Executive Attendee Data.